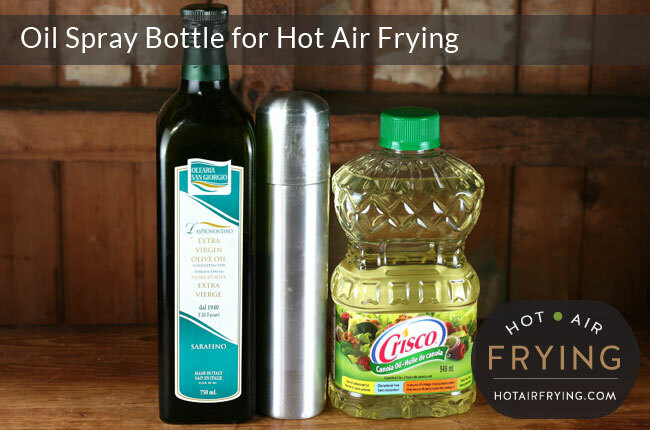 Oftentimes in hot air frying just a light spray of oil is needed to encourage a food item to crisp and brown. Some people choose to do this using an oil spray bottle that is refillable at home. 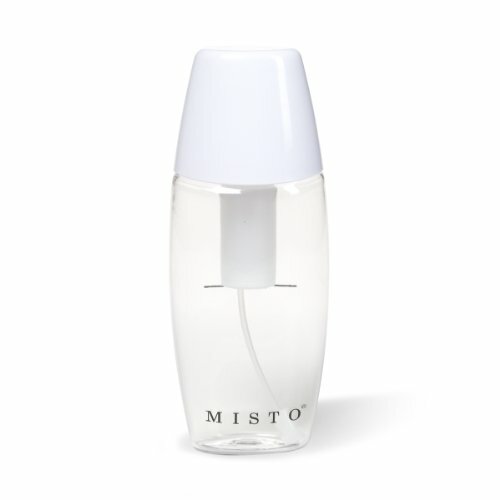 You refill the bottles with pure oil, avoiding the chemicals that some people feel are in the cans. These refillable bottles don’t usually, however, have the world’s most air-right seals on them, so oil stored in them tends to go rancid quite fast. Consequently, only put in as much as is needed for the spray pumping to work, and that you can use up in a reasonable period. If the nozzle becomes clogged, soak it in a mug of hot soapy water. The bottles usually benefit from a trip through a dishwasher a few times to year to scour built-up, rancid oil on the exteriors and edges. 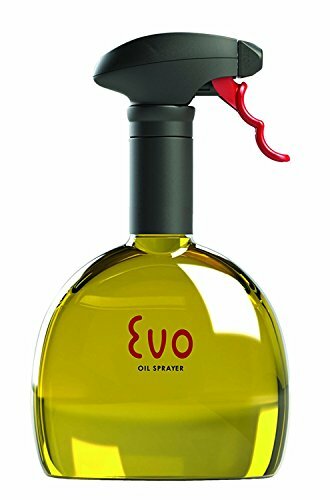 The pump action sprayers on the bottles tend to work best with “thinner” oils (such as canola) as opposed to thicker, more viscous oils such as high quality olive oil. Some people say to add some water to the oils to thin them; some people say to add some vodka (thus imitating the alcohol some manufacturers add to their cooking sprays). But we haven’t had time yet to research or experiment with any of these ideas for safety, usability, shelf-life, effectiveness, etc. 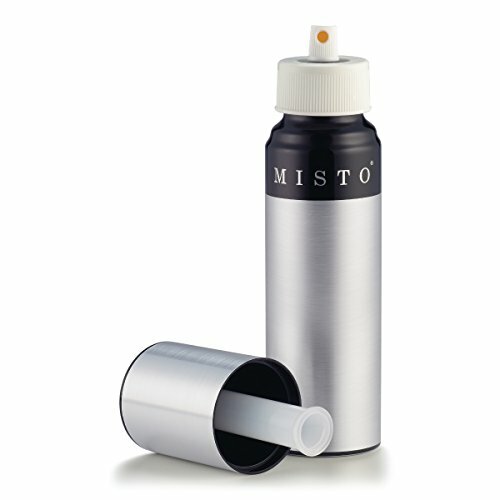 Some people feel that the oil from home sprayers, whatever its other merits, just isn’t as “non-stick” as the cooking spray from cans.